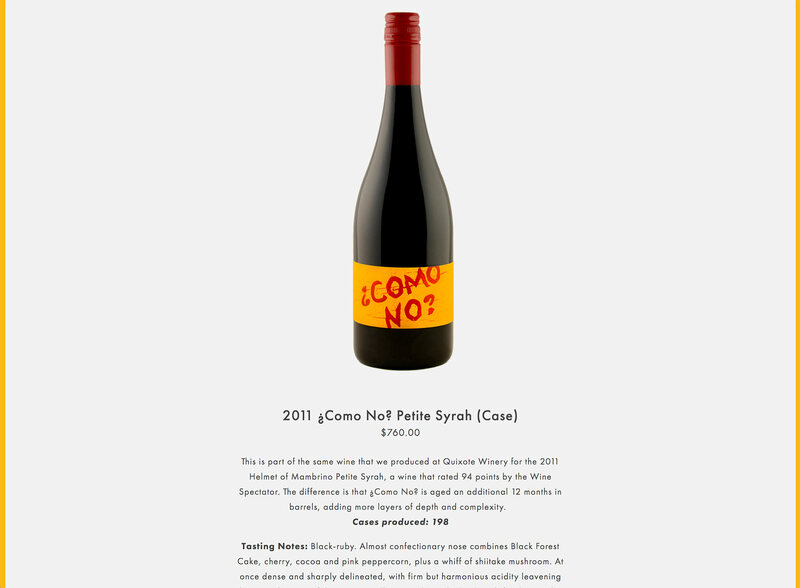 ¿Como No? 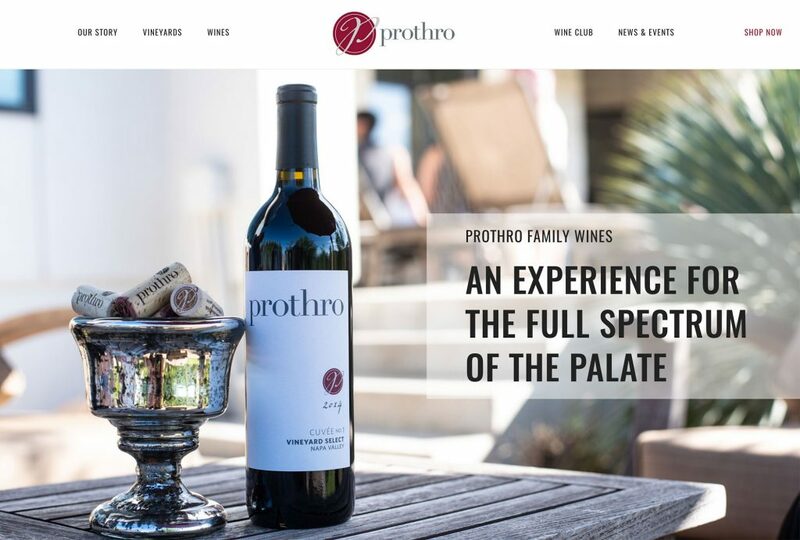 is the Petite Syrah project from Carl Doumani, creator of Stags’ Leap Winery and Quixote in Napa, California. 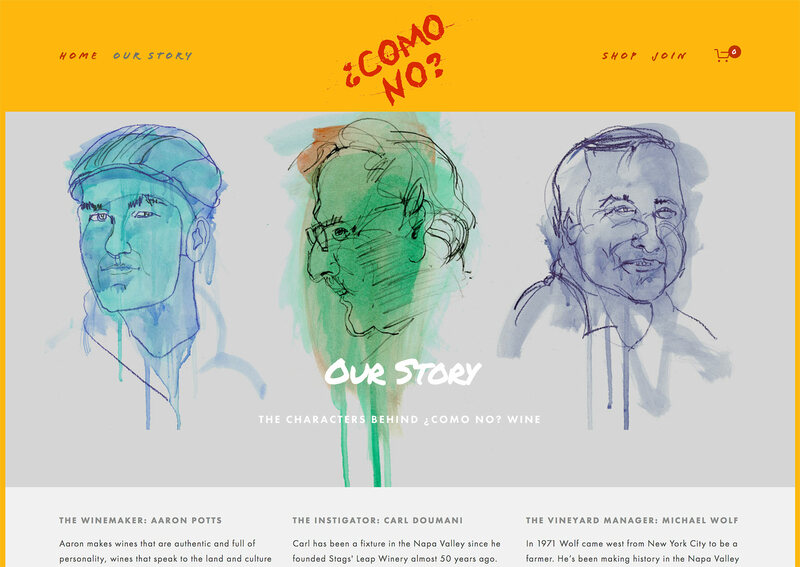 This website stands out with its prominent yellow and red color scheme. 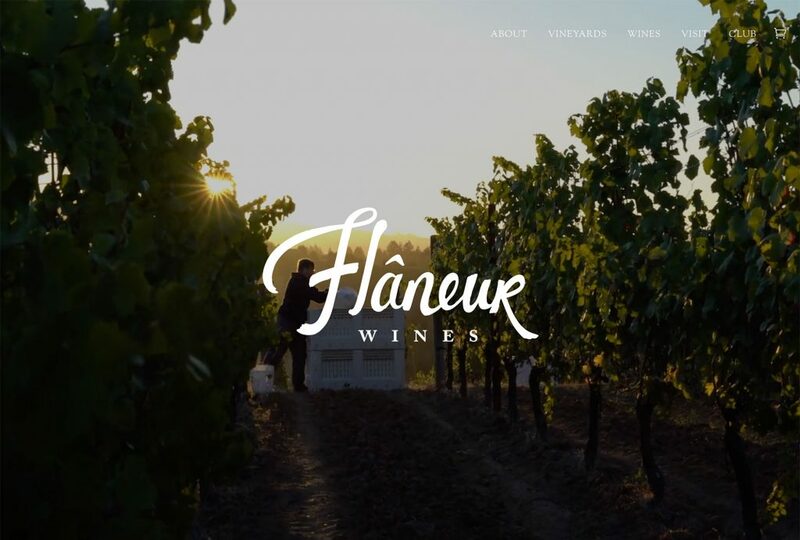 The playful colors and typography make the website stand out in contrast to the typical elegance and muted tones of most winery websites. 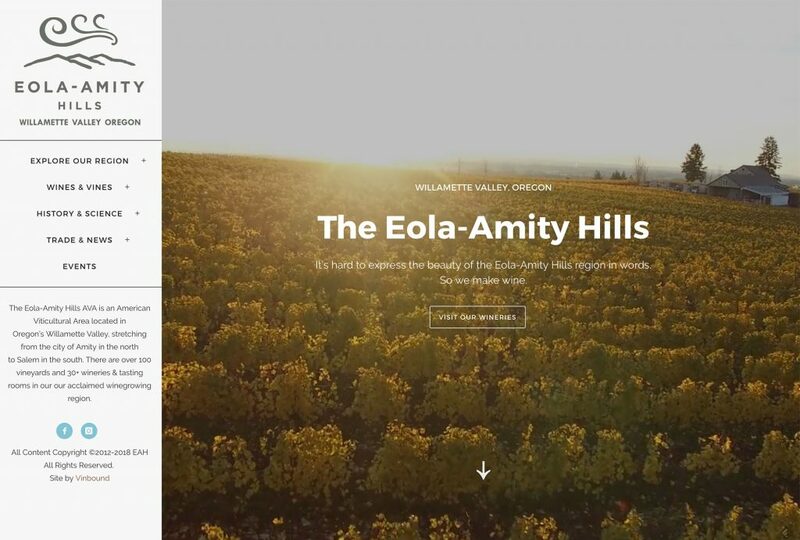 Aerial videos and an integrated online store from Squarespace commerce round out the visuals and functionality of the website. 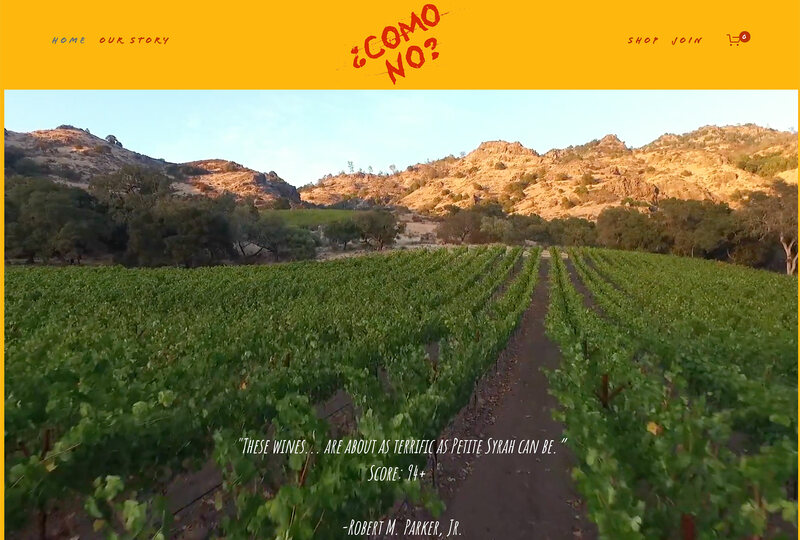 ¿Como No? 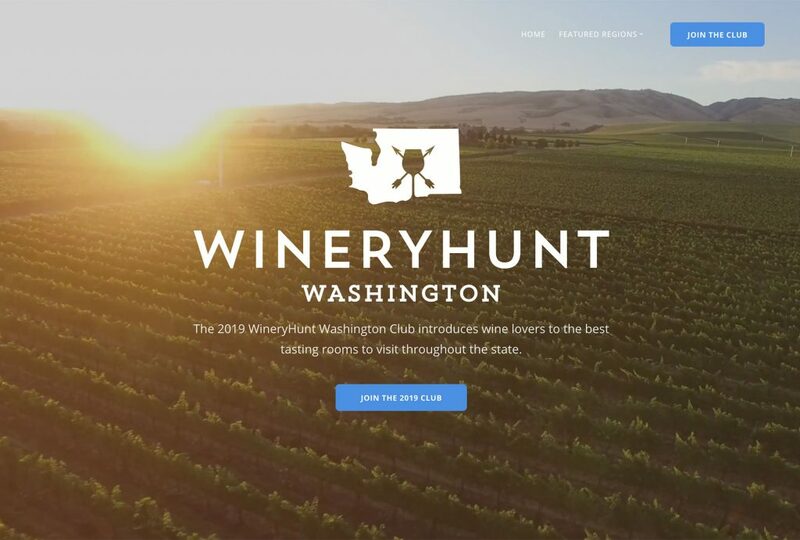 needed a simple platform to display aerial imagery of their vineyard and custom illustrations of the proprietors. 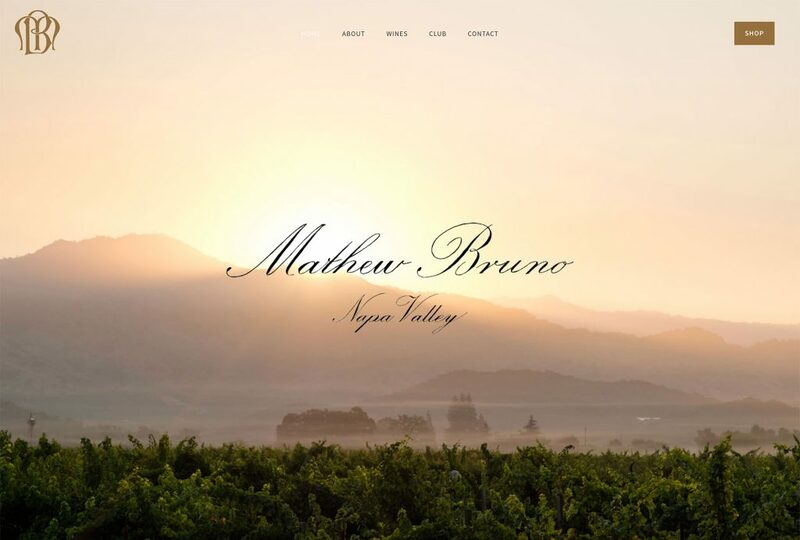 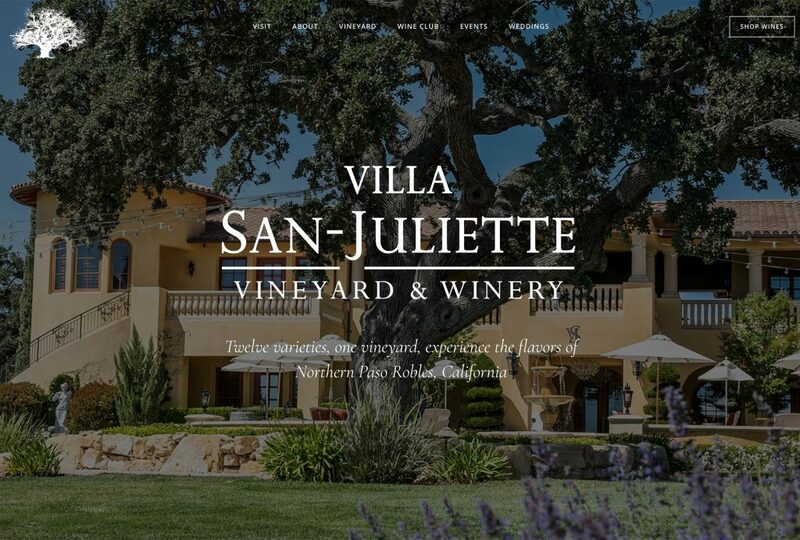 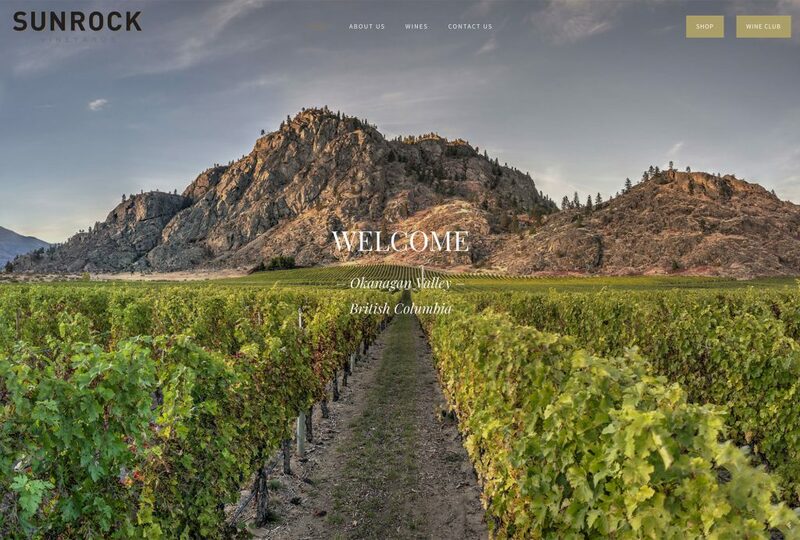 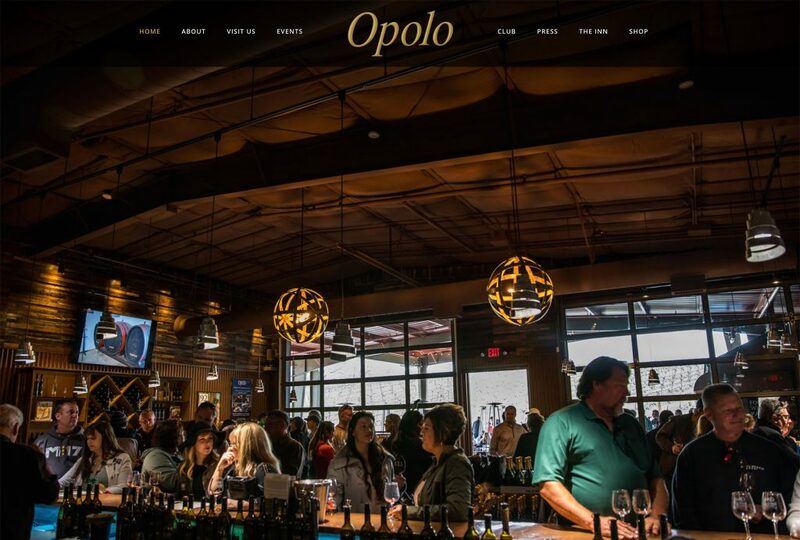 With a low number of pages and a seamless online store via Squarespace commerce, our Squarespace website package was the perfect fit for this winery.